Yes, Hosting Thanksgiving IS Apartment-Friendly! Nobody wants to burden the same family member with hosting Thanksgiving every year. But most people tend to be in the mindset that a house is required for hosting. This may be true if you have 15+ family members who attend, but at that point, is any confined space really convenient except for a reception hall? Thanksgiving is a time to celebrate loved ones and show gratitude, and owning an apartment shouldn’t interfere with getting the family together. Hosting Thanksgiving in an apartment is easier than many people think. In reality, most apartments (especially those at Wildewood) have more than enough room for hosting Thanksgiving, or really any family gathering. Of course, some preparations need to be made, as with any gathering anywhere. But you’ll be happy to know you can have your family and loved ones over this Thanksgiving without a hassle. Seating: Make sure there’s enough room for everyone to sit. This doesn’t necessarily mean dining chairs only. These days, bringing the plate to the loveseat or lounge chair isn’t taboo. The important part is being together, so if that means utilizing seating beyond dining chairs, no one is going to mind. Space: You may want to re-position some of the future to make sure everyone has space to move freely. People tend to only consider the space needed for their selves to navigate the apartment. Give enough room for people to comfortable pass each other anywhere your guests will be. Make use of your furniture: A Thanksgiving dinner doesn’t have to be in a dining room with serve ware and a runner on a long table. No room on the table for serving dishes? Make use of the eat-in kitchen counters or counter islands—it even saves the hassle of passing everything around the table. Pies can be left in the oven to save space, and purses/guest belongings can be stored in the bedroom. With just a little bit of thought and preparation, hosting Thanksgiving at your apartment can be just as stress-free as hosting at a house or hall. 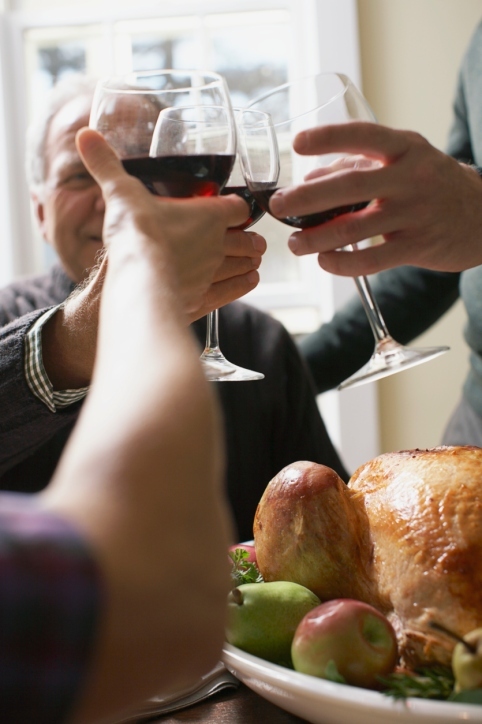 If no definitive plans have been made for hosting Thanksgiving yet this year (you’d be surprised—a lot of people decide late), give your loved ones a call and invite them over! Looking for a St. Mary’s apartment? We can help! This entry was posted on Wednesday, November 18th, 2015	at 10:08 pm	. Both comments and pings are currently closed.